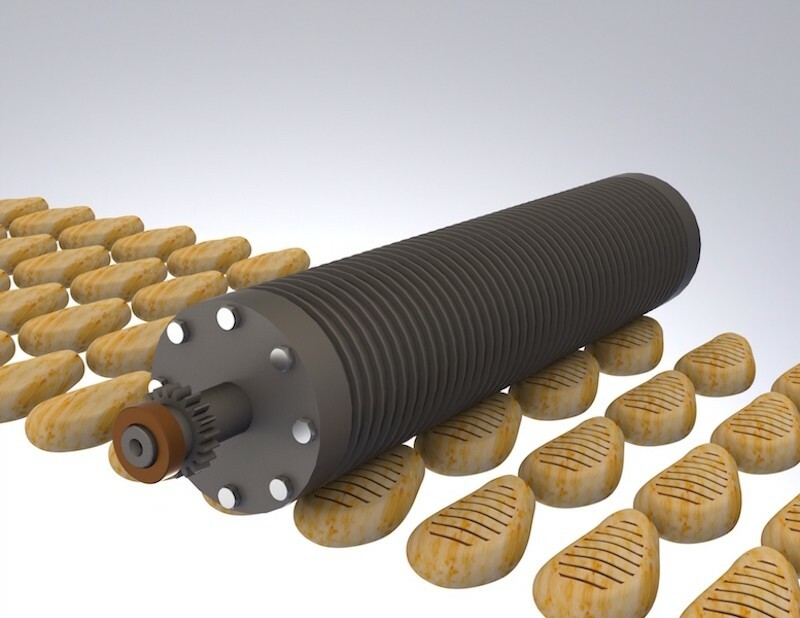 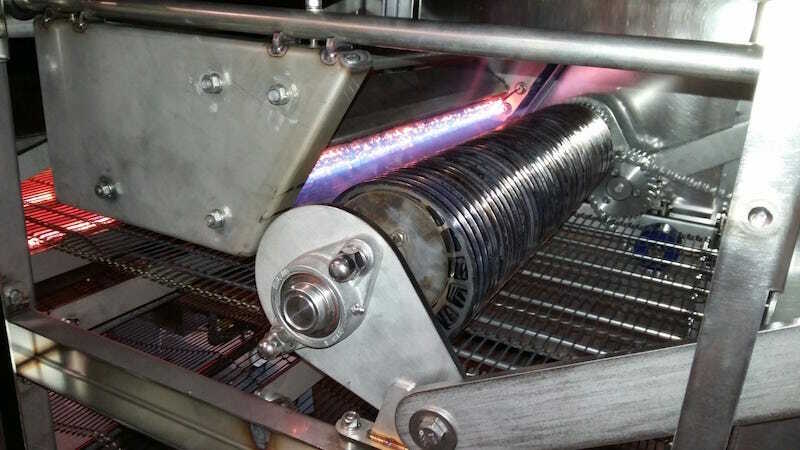 As the largest member of our 60" Flame Peeler enables large, industrial processors to achieve repeatable, high-quality roasting and peeling results in short residence times. 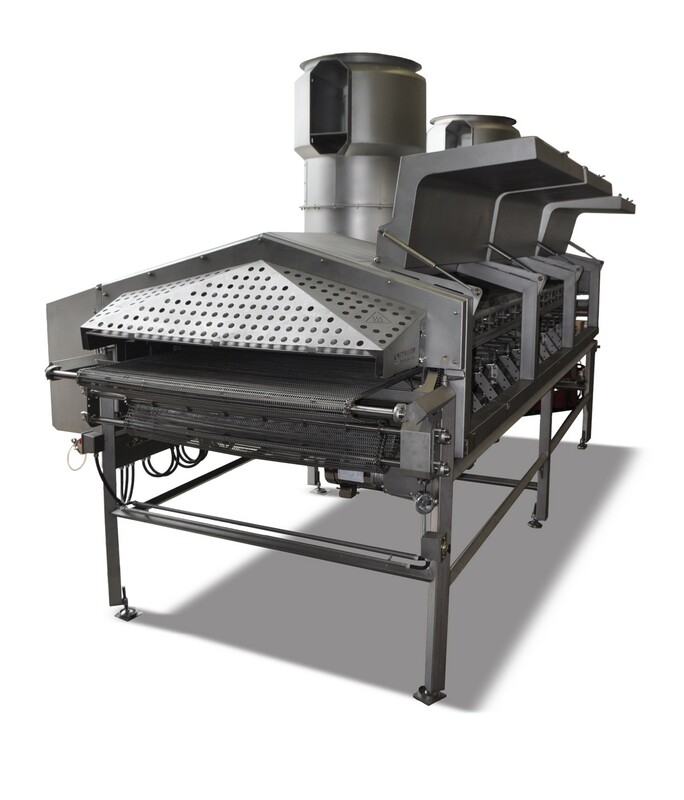 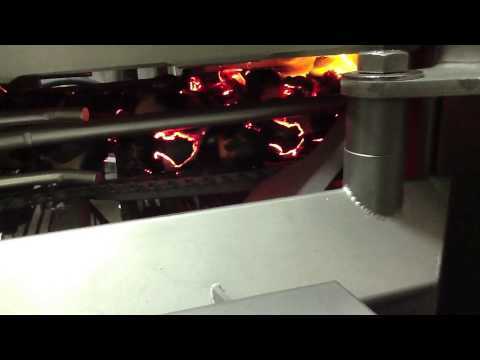 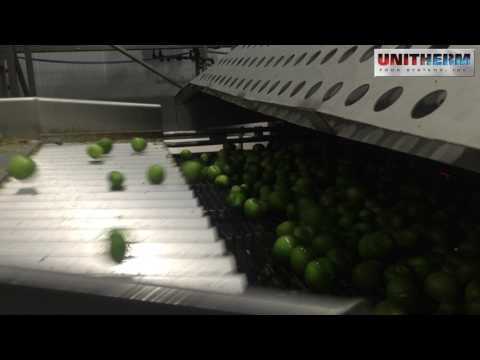 With a comparatively small footprint for its throughput, whether you are flame roasting peppers or peeling onions the 60" Flame Peeler can revitalize your processing line in both efficiency and quality. 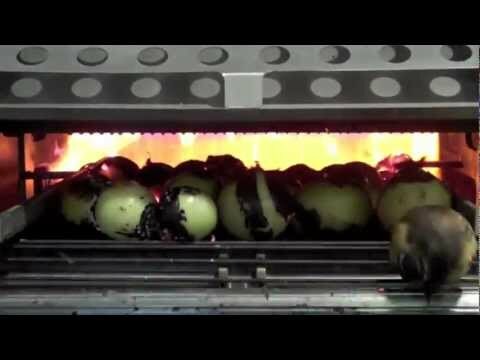 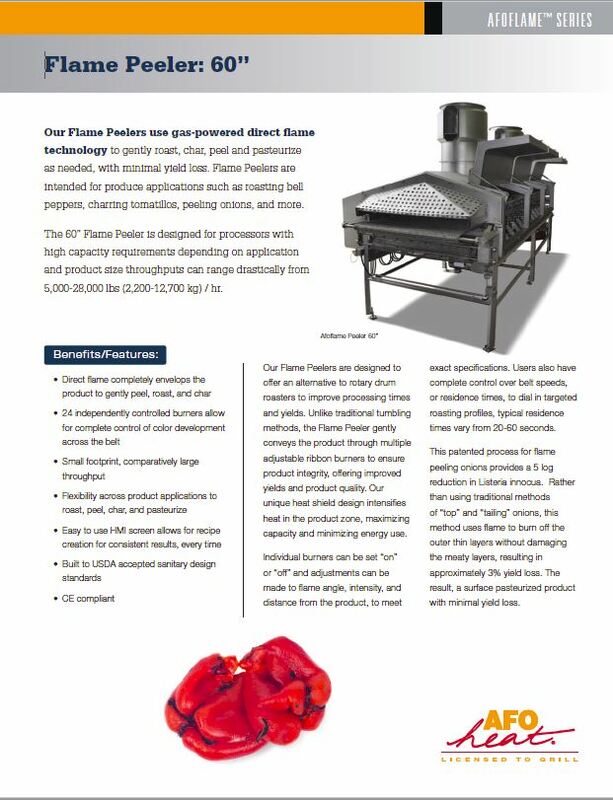 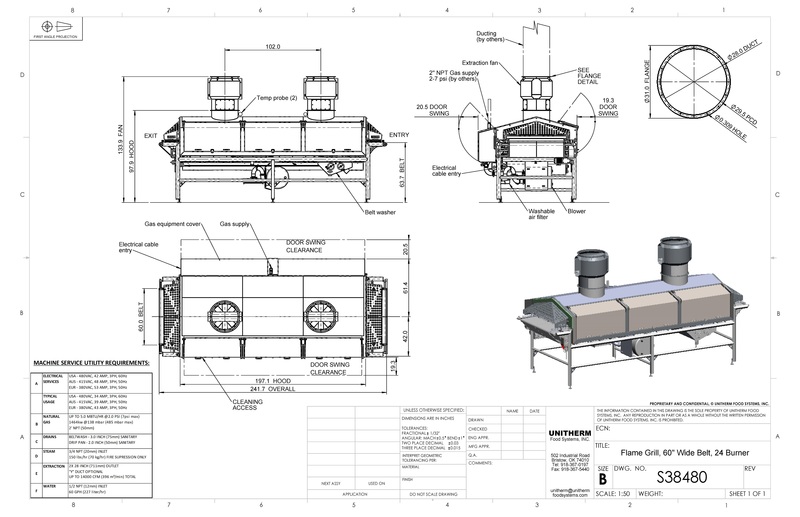 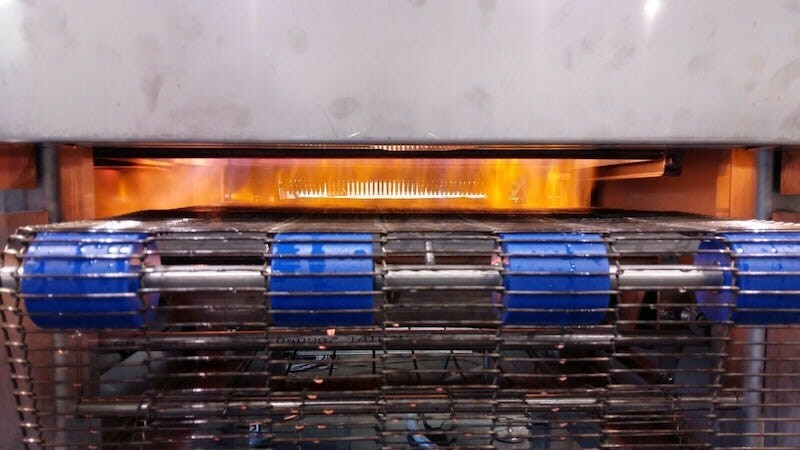 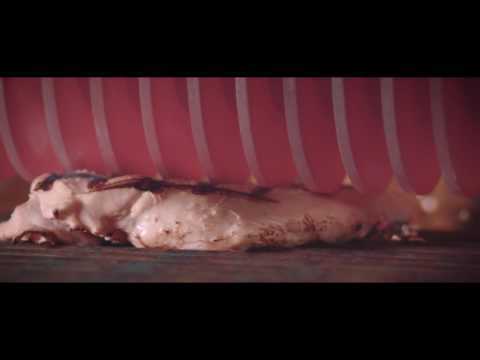 Part of our Afoflame™ family, our gas powered Flame Peelers use direct flame to gently roast, char, or peel as needed, with minimal yield loss.